You're welcome to come by and get your book signed, or just stop by to say hi ! 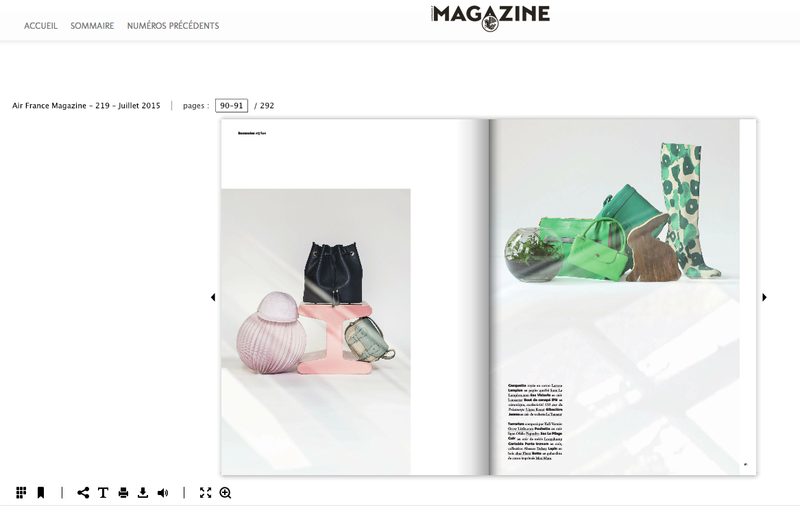 Many Thanks to Excellente Magazine ! 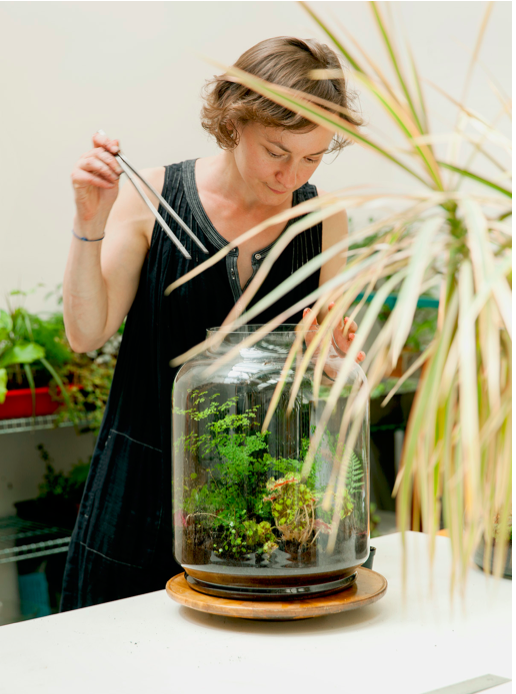 Franco-American artist and photographer Kali Vermès started making terrariums to satisfy both her green thumb and creative impulses with one activity. The microcosms she creates, under the moniker Grow Little, are carefully conceived tiny, verdant worlds. 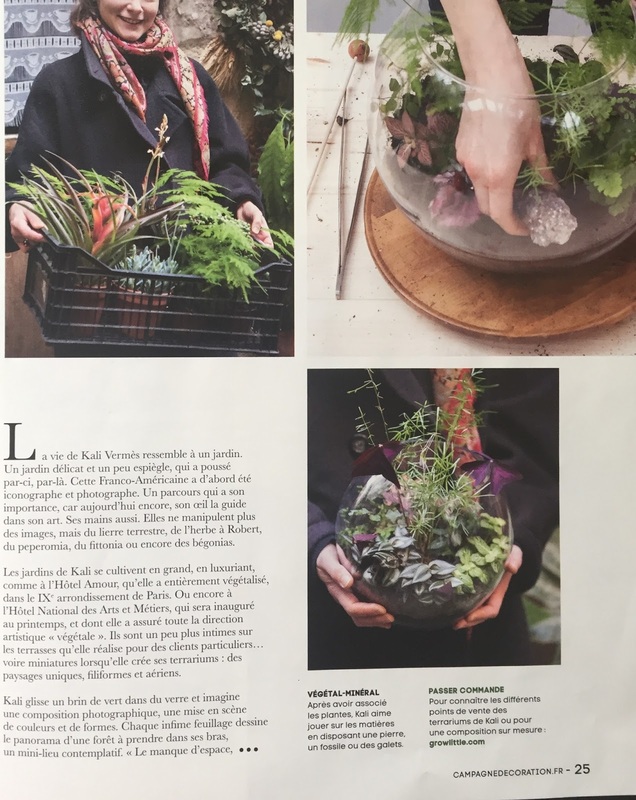 Born in Paris, Kali grew up in an apartment filled with hanging plants. Her Russian photographer grandfather grew pear trees and tended a vegetable garden in his backyard in New Hampshire, and her Norman grandmother was a fervent gardener who always found the time to show off her magnificent plants. Kali began her career as a photographer and has worked with acclaimed artists such as Joel Sternfeld and Robert Wilson. Currently based in Montreuil, just outside of Paris, she curates little landscapes that bring a touch of green whimsy to the everyday. 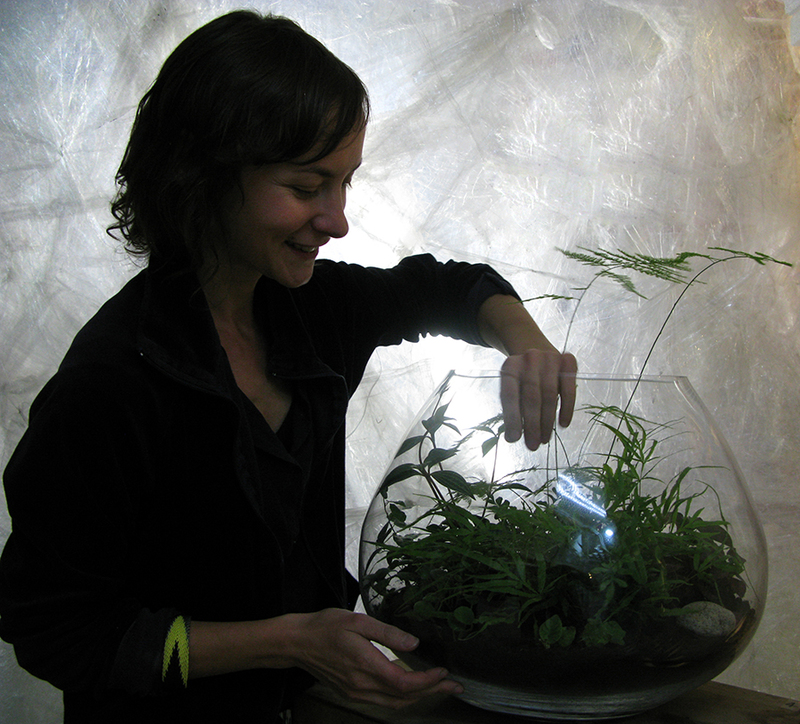 Sarah Moroz: What incident or visual made you decide to create your first terrarium, and what then made you decide to make a career out of it? Kali Vermès: I made my first terrarium because I wanted to make something with my hands. I was working on laying out a series of photographs I had shot at The Watermill Center and was having trouble getting this book project off the ground. During my residency at the Center, I had started to associate gardening with taking pictures, so I wanted to return to that. Combining a physical activity with a visual one was thrilling and greatly inspiring. It also stemmed from a need to watch plants grow inside my home, caring for them and protecting them during the hard winter. 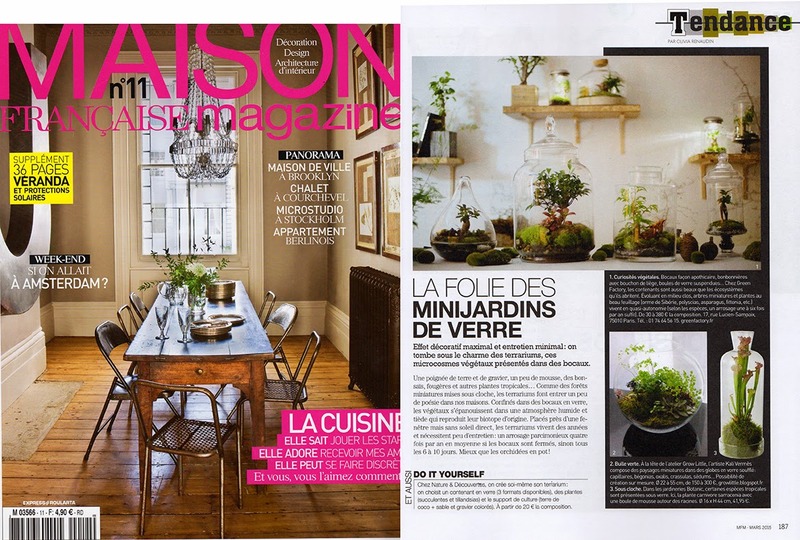 I was fortunate to be able to show my first terrarium at the Parisian design fair “Maison et Object” in 2010. 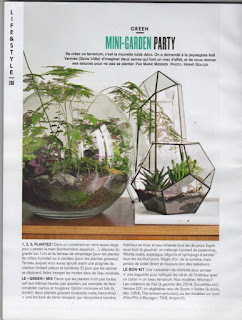 My work was noticed there and I got some press via The Horti-Culturalist and The Cool Hunter, which started a wave of interest in my terrariums. I was touched and encouraged by the personal emails that were sent to me from around the world. Sarah: Where do you source your materials? Kali: My plants come from various sources, from basic nurseries to more specialized ones that have a great variety of succulents. I also find and collect specimens on day trips or weekends in the country. 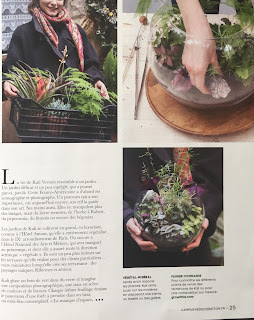 For example, I’ve been using a delicate wild geranium that I collected in a forest outside of Paris and that I now grow in my own little greenhouse. 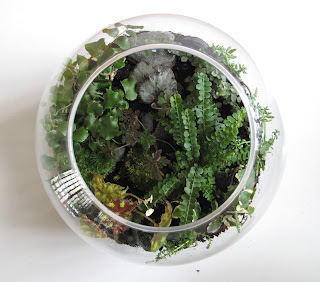 It adapts easily to new environments and enjoys the humidity of a terrarium but can also thrive in drier climates. My containers are, for the most part, simple glass globes that I find in plant nurseries or in flea markets, but I am already working on designing my own hand-blown versions. 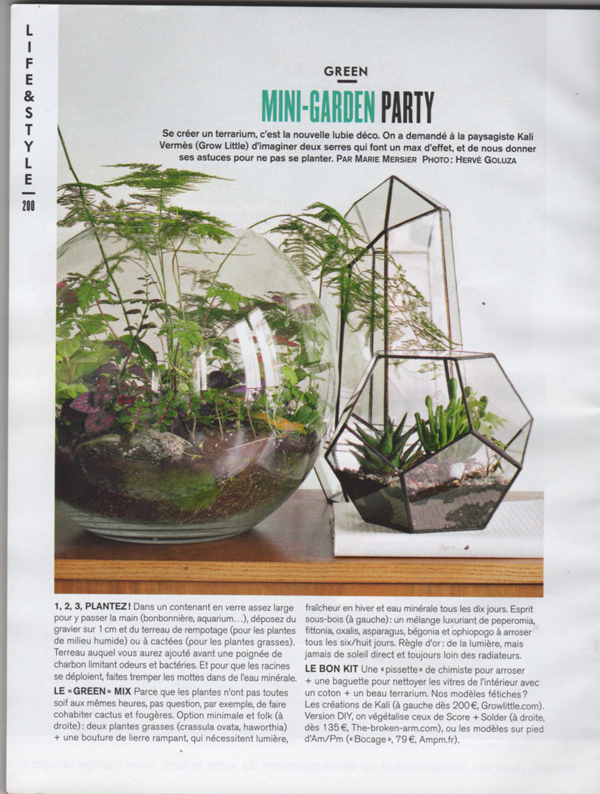 Sarah: How do you decide which glass vessels to pair with the plants? Kali: I measure the diameter of the glass globes to the size and number of the plants, in order to maintain a harmonious composition and create a miniature landscape. Sarah: How much does pragmatism override aesthetic, or vice versa, when you’re conceiving the terrariums? Kali: It’s impossible to avoid compromise, especially with living organisms. They require specific environments that must be met in terms of soil, drainage and climate. It’s unlike composing a bouquet, which is ephemeral. 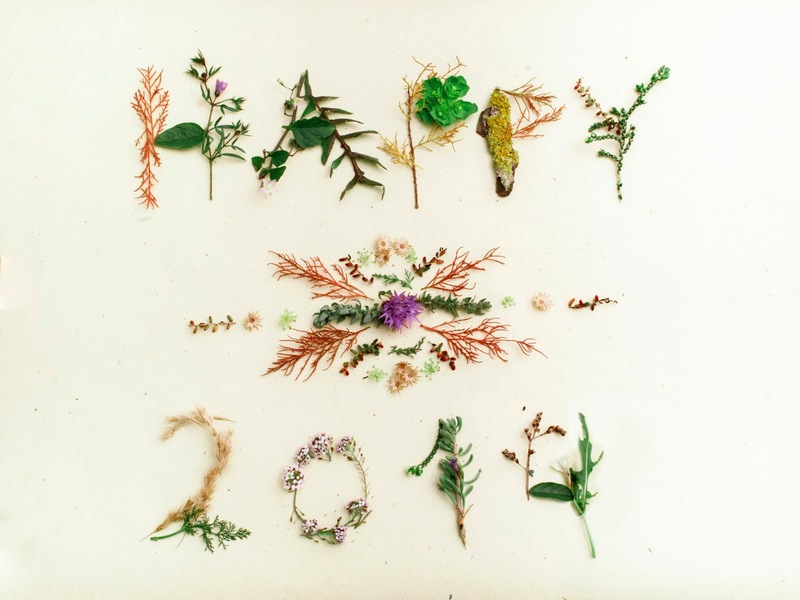 Sarah: What inspires you — both within the plant world, and beyond? 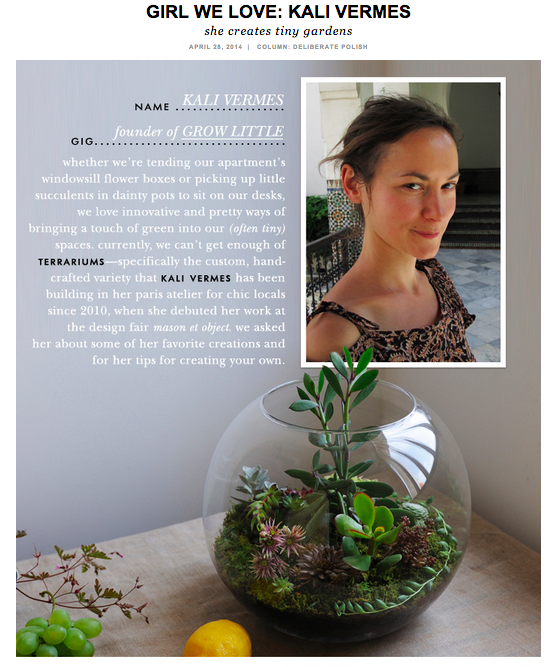 Kali: I am inspired by microcosms within larger systems, and I like to focus on those little plants that survive in unexpected places. Watching them grow inspires me, and I like seeing how they change. Outside the plant world, I’m inspired by contemporary dance—I’ve always loved Pina Bausch’s choreography, for example. The repetitions and patterns are hypnotizing and enchanting. I also like textile design, for the same reasons, as well as for the tactility and textures. 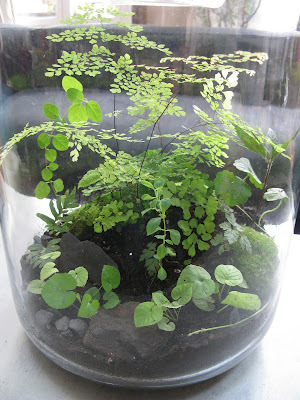 Sarah: Is there anyone working with plants or terrariums whose work you admire? Click “Read More” for additional copy and images. 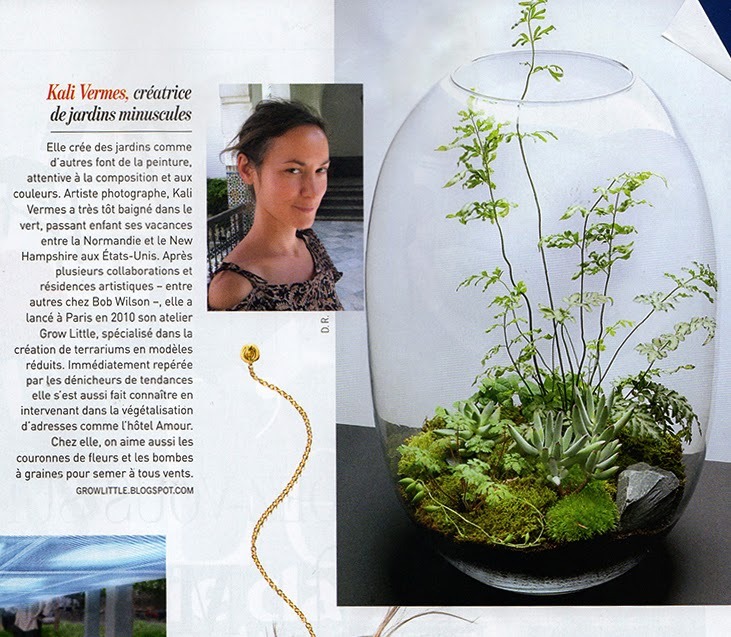 Kali: I admire the stunning suspended plant-artworks created by Fedor van der Valk. Sarah: What’s your favorite green space? Kali: I like the Old World charm of some gardens like this desuette [antiquated] botanical garden in a 18th-century baroque town I’ve recently been to in Apuglia, where young wild plants were growing beside exotic plants that have been there for many years. Every plant found its place and together comprised a natural unity. I also like places that used to be well-kept gardens but where nature ends up taking over, so there’s a variation between the wild plants and the ones that were intentionally brought there. 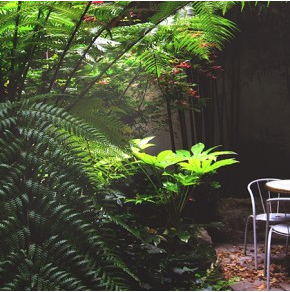 The Jardin Naturel in the 20th arrondissement in Paris, close to the Père Lachaise Cemetery, is a tiny garden left to its own devices, where new and old plants cohabitate. 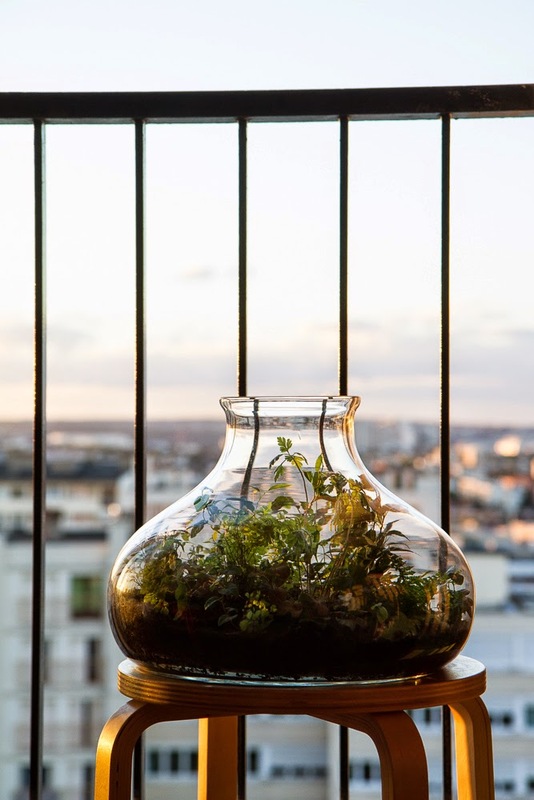 Sarah: Your terrariums are called Grow Little—do you have any interest of doing what you do on a bigger scale, like landscaping or even gardening? Kali: Absolutely. 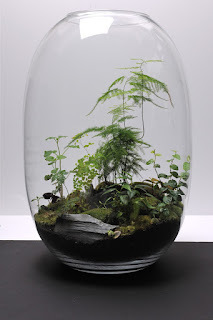 I think the Grow Little terrarium aesthetic can be transposed to a larger scale. 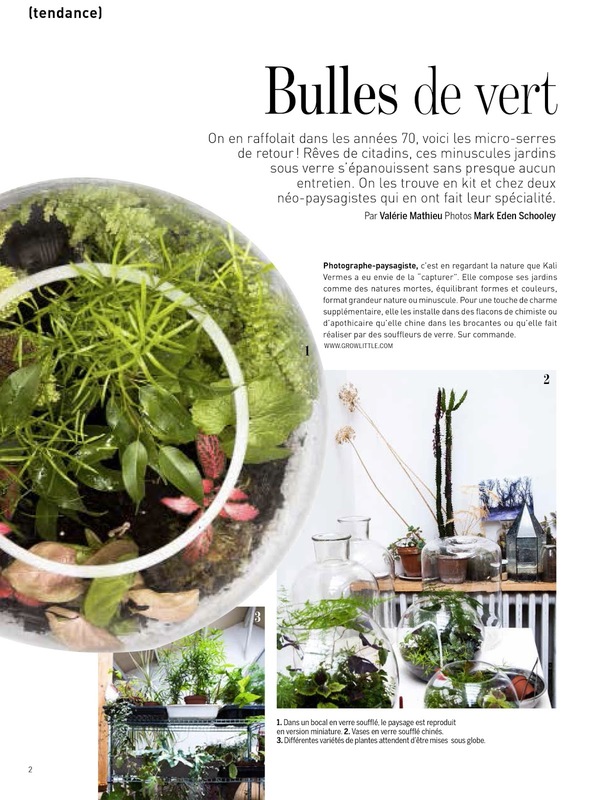 Thanks to the success of my terrariums, I’ve been moving in a new direction greening terraces and balconies, and I have recently been asked by the French magazine Elle Decoration to create an ornamental vegetable garden for an upcoming issue. 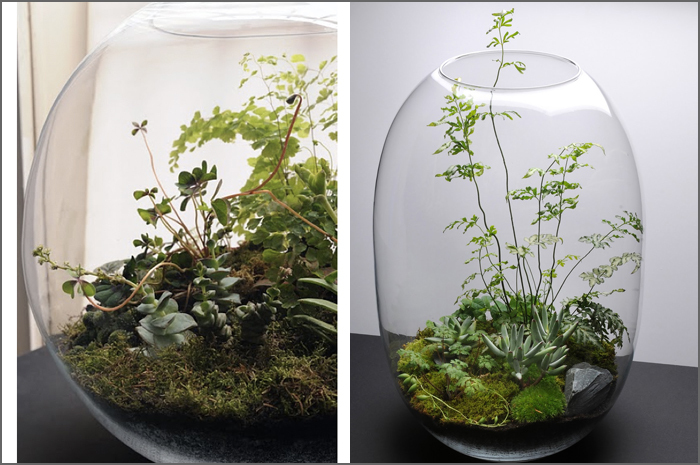 These are confined spaces, much like terrariums, but the advantage is you can walk through them and contemplate them from the inside. 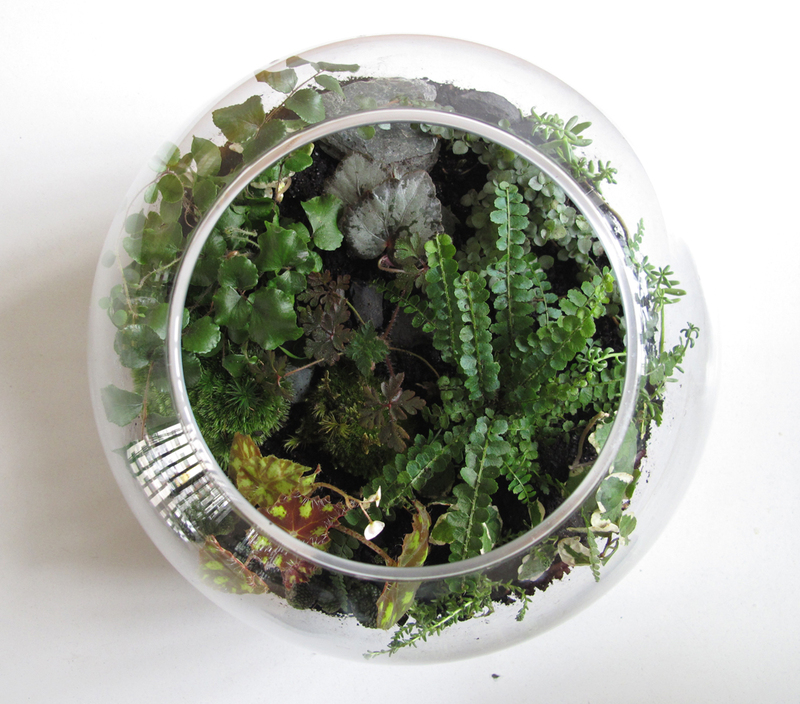 Sarah: You’re also a photographer; how does it compare to think about 3-D terrarium space versus 2-D photographic space? 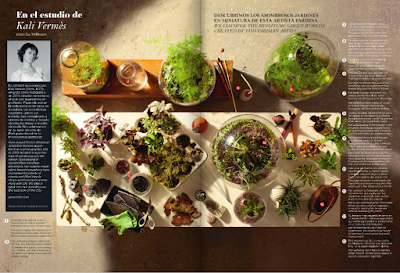 Kali: When I started making compositions in terrariums, I strangely noticed that photography had a very important component of 3-D in it, because of the depth of field and the composition. Much like when I place plants in a terrarium, I try to place my subject within a frame, manipulating what I want the viewer to see. In my bubble-shaped terrarium, I have to cultivate this instinctive approach from all sides. My experience as a photographer helps me to observe my plant compositions with an exterior eye. Grow Little specializes in custom orders and creative collaborations. Please send inquiries directly to Kali Vermès at growlittle@gmail.com. Merci Marie Claire Maison (oct. 2015, p.72) ! 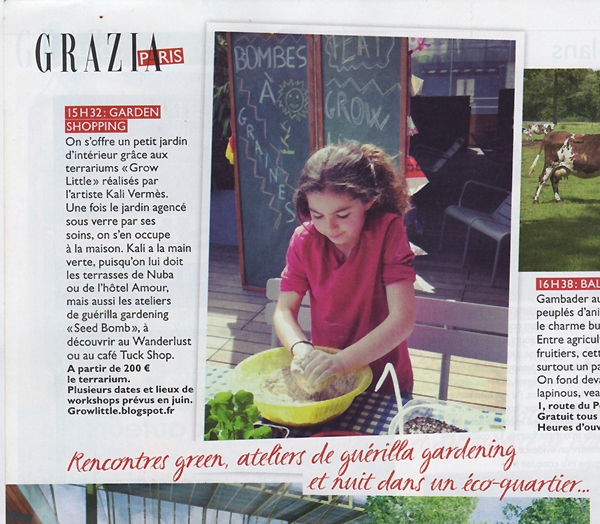 Merci Air France Magazine ! A client has kindly sent me pictures of the terrarium I made for him once it was in his home. It has found it's place ! 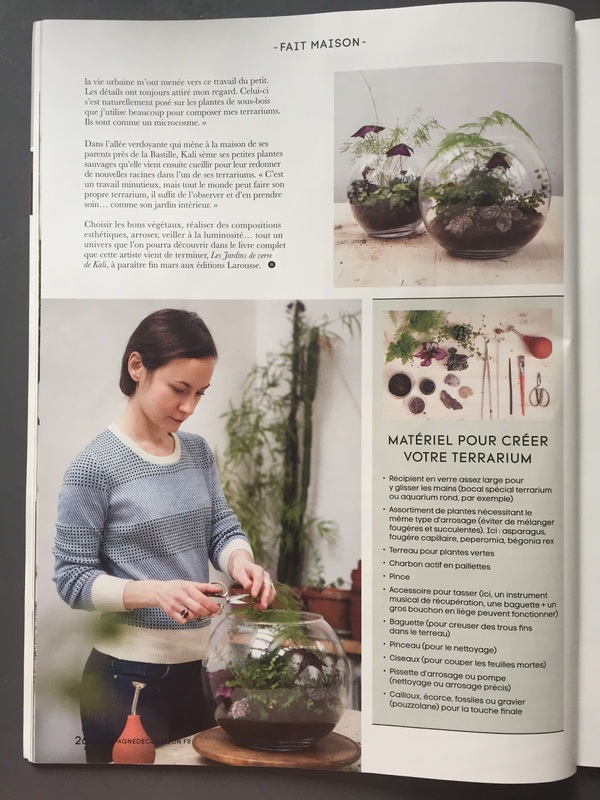 Thank you Olivia Renaudin and Maison Française Magazine for including me in an article about terraria ! 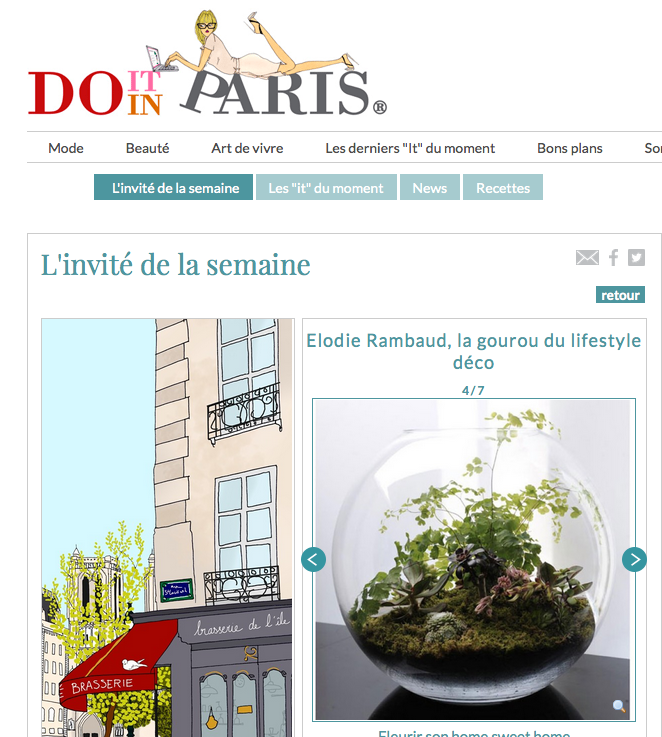 Merci Elodie Rambaud , " la gourou du lifetyle déco", de m'avoir inclu dans ta liste sur Do It In Paris! 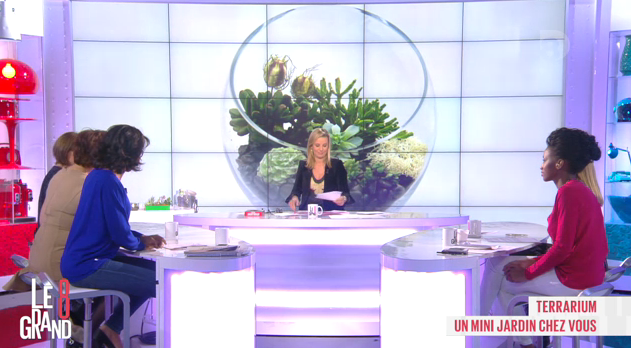 Many thanks to Silence ça Pousse to have included me in their last TV programme 04/03/2015 ! 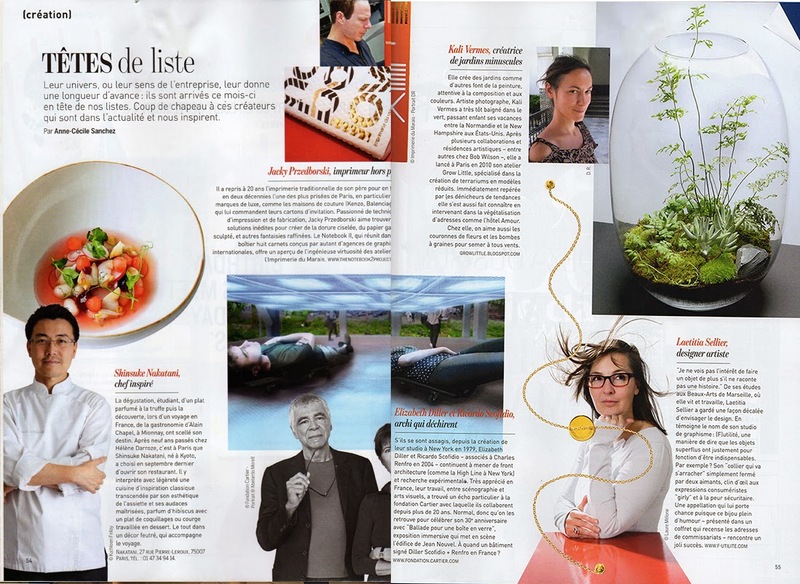 Thank you to Anne-Cécile Sanchez for including me in her article "Tête de Liste" in the issue of Marie-Claire Maison (Feb-Mar 2015) ! 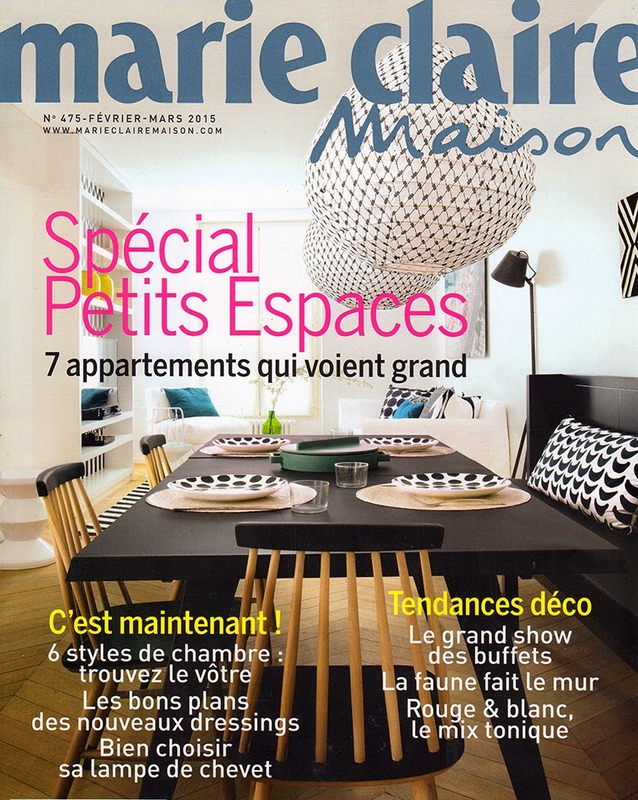 Un grand merci à Anne-Cécile Sanchez de m'avoir inclus dans son article "Tête de Liste" dans le Marie-Claire Maison (Fév-Mar 2015) ! Merci à Chung Leng Tran pour cette belle photo ! Merci à Laurence et Fabrice de l'Instant Parisien pour cette belle rencontre ! Here's a little interview on the Kate Spade blog ! 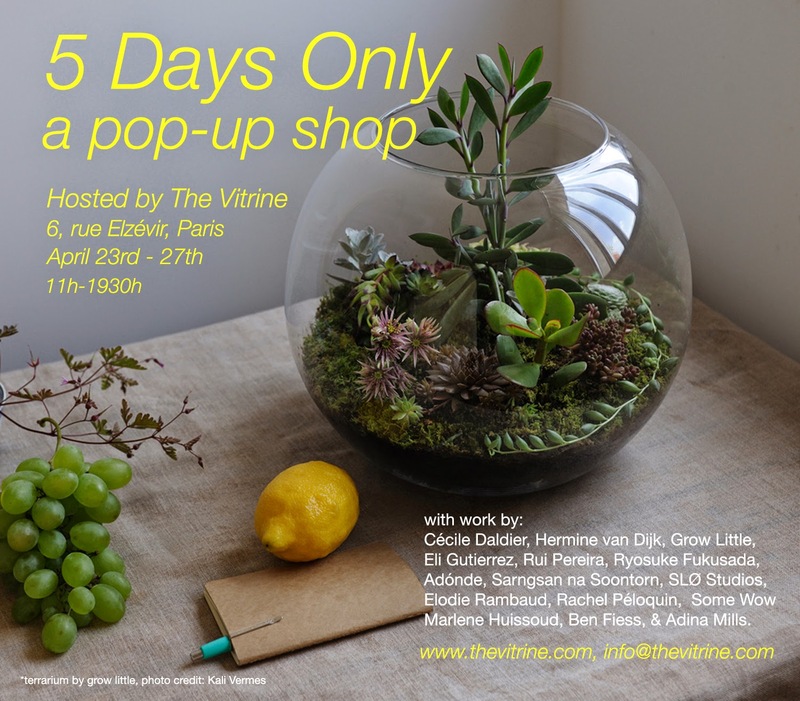 Hosted by The Vitrine an online shop with beautifully hand crafted objects, jewelry and more ! 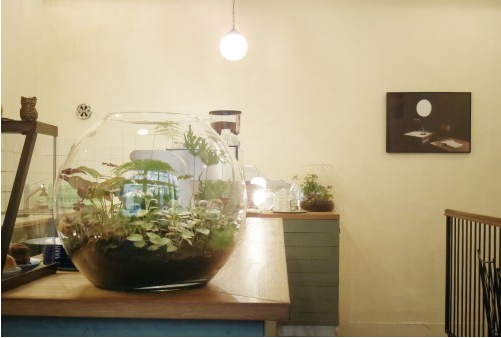 Grow Little terrariums are currently on view at the infamous Télescope café! 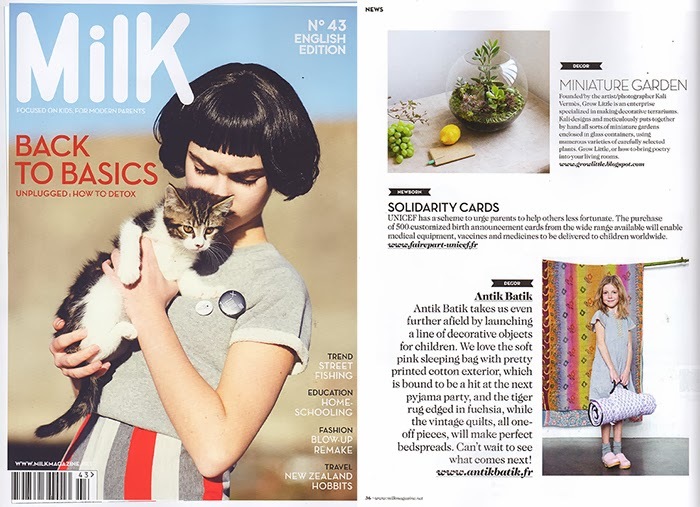 Grow Little featured in the latest March issue of Milk ! Grow Little was presented on French Television this morning on the show Le Grand Huit (at about 19:10 mins into the video). 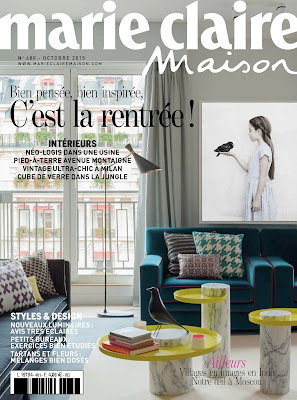 Three years later and the French are finally picking up on the trend ! Better late than never. Take a look HERE ! Good news in the press ! 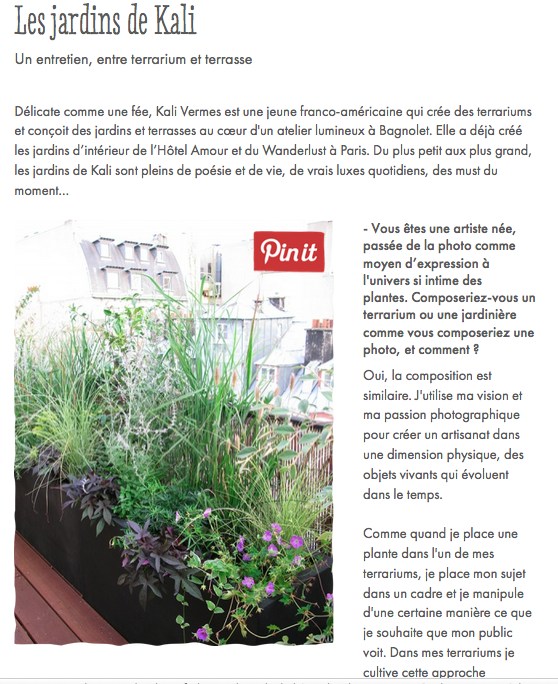 and more good news to come on a larger scale as I have been busy greening terraces around Paris. Giving a free Seed Bomb workshop for children at Wanderlust tomorrow Sat. May 4th at 2pm! Grow Little was started in 2010 and is based in Paris. 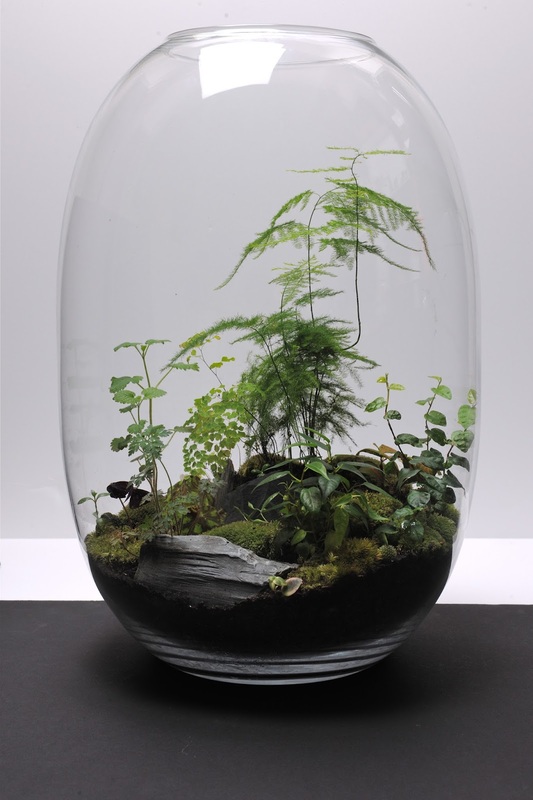 The terrariums are made in hand blown glass vessels of various sizes, each is an original, hand made art piece with a unique miniature landscape design bringing nature's poetry into the home. Grow Little a commencé en 2010 et est basé à Paris. 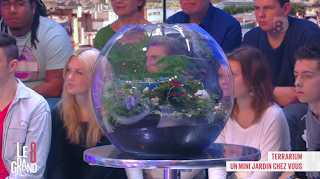 Les terrariums sont créés à partir de globe en verre soufflé de taille variée, chaque pièce est une œuvre originale, faite à la main, où se dessine un paysage miniature unique qui fait entrer la poésie de la nature chez vous. Please email me for price quotes and for further information. Commission me directly to make your very own custom terrarium ! Local hand delivery. Contactez moi par mail pour me demander la liste des prix et pour plus d'informations. Passez moi une commande directement pour vous faire un terrarium sur mesure ! Remise en mains propres. 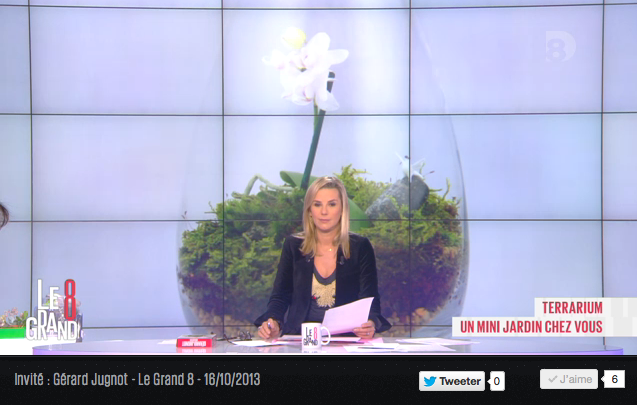 France 3 " Plantez Le Decors, Cote Jardin"